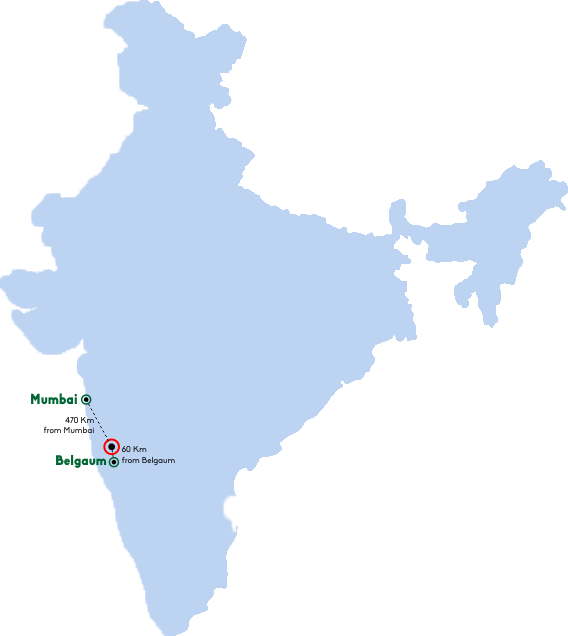 ﻿ Company Presentation | Brain Chamber Polymers, India. 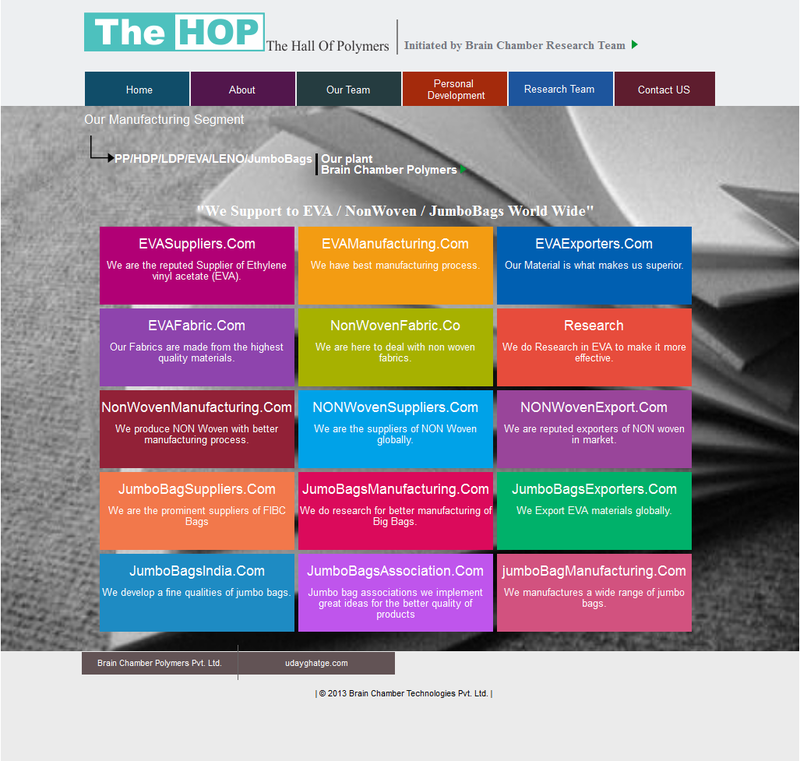 We have started this venture to support our Research Team"
AIM - Will be $100 million USD company in 2.5 years. The blends of PP granules, M/B and filler compounds are supplied as raw materials to the Extruders. These granules upon melting are filtered from screen changer. The PP film further forms a die which is then quenched making the film split into tape. This tape is further stretched in hot air oven followed by the chilling process. Tape winding process is then carried out using bobbin winders after which the bobbins formed are checked and cleaned. •	Capacity : 250 KG/ HRS. The process of fabric weaving into looms is done in the circular weaving machine. The rolls obtained are cut, checked and stocked here. The new generation circular weaving machine with six shuttle is designed to weave fabric suitable for a variety of applications like plastic granules/fertilizer/chemicals and smaller covering fabric/tarpaulin etc. 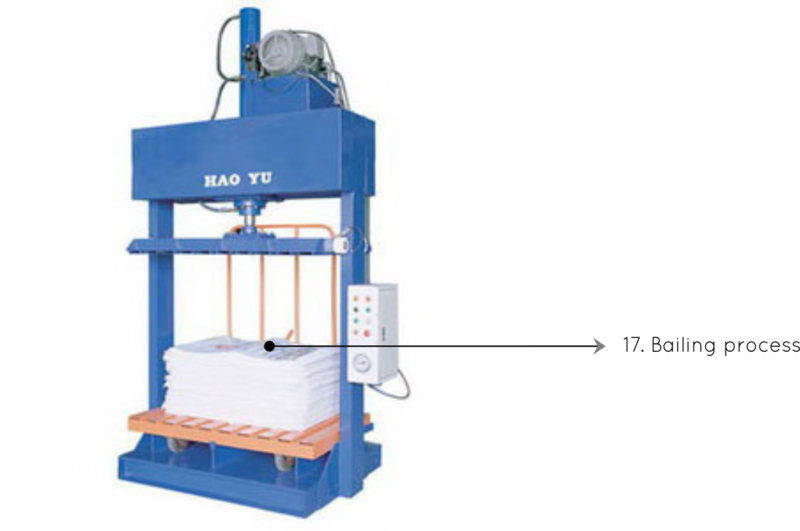 Additionally, these machines have an option to produce Anti-slip fabric on special request. 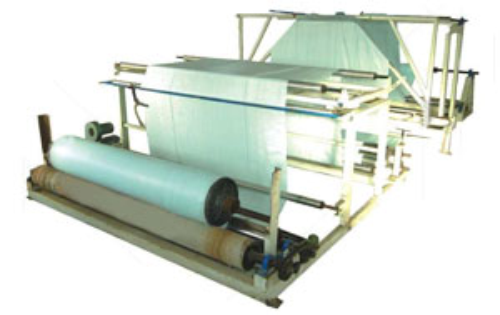 We use high-technology laminating machines for woven fabric, cement bag, jumbo bag, EVA and tarpaulin. The unwinder and rewinder are driven by semi-automatic tension control. These laminating machines have turret unwinder for unwinding plastic film and metalizing film. Cutting of the printed fabrics into pieces is done in the cutting and stitching machine. These pieces are further checked and sort. These sorted fabrics are given for valve forming process. The printed fabrics are then stitched from the bottom to form bags. We use latest model of cutting and stitching machines made by GCL. The new age machine cuts, bottom folds and stitches the bags or sacks. The complete processing is done just from the tubular fabric roll. These machines can carry operations like counting, stacking and conveying. •	Capacity : 3000 Bags/Hrs. We use multipurpose flexographic 3 colour printing machines for better print quality and clarity. These machines are equipped with statistically and dynamically balanced rolls and the gears of hobbing cut. 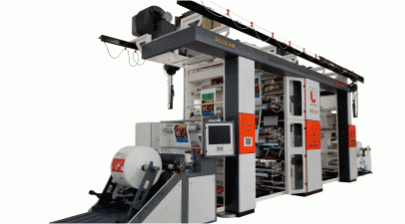 The infeed and the outfeed system of the machine maintain constant tension of fabric for better print registration. The hydraulic bailing press is used for pressing PP/HDPE bags to minimize the volume for convenient packaging & transporting. These machines are designed for free shift operation and can produce different pressure as per the requirement. We use high technology semi automatic rewinder machine. It customizes size and does palleting of EVA fabric. 2. Machinery cost = 11.5% of x. 3. Energy cost = 1.75% of x. 4. Labour = 3% of x.
y = x + Processing cost. Profit (z) = y + 15% of x.
Turnover/day (z) = Rs. 8, 75,000/day. Turnover/month = Rs. 2, 62,50,000/month. Annual turnover = Rs. 31,50,00,000/year. 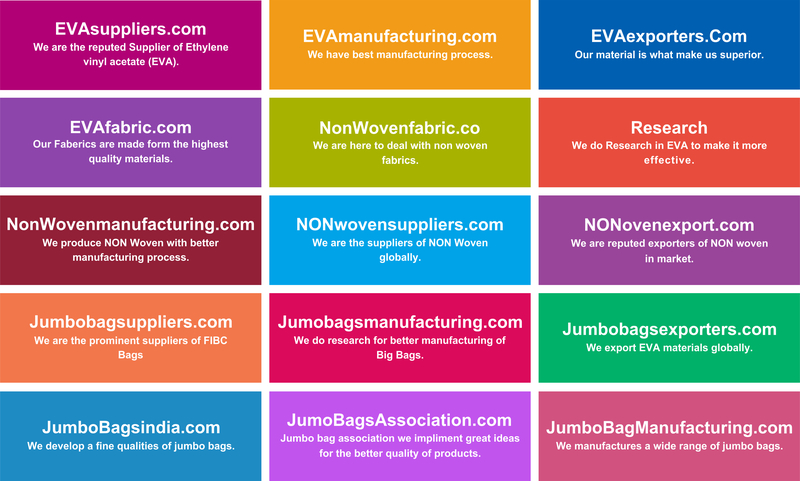 "We Support to EVA / NonWoven / JumboBags World Wide"
The Financial Dashboard depicts the Sensitive analysis of the inputs and the total cost of the Project. Future targets of the company in the coming decades are analysed in the above window. © 2013 Brain Chamber Technologies Pvt. Ltd.